Dirak A Leading Neoprene Profiles suppliers and dealers in Bangalore We are highly appreciated in the international market for our extensive range of Neoprene Profiles. Our product range fulfils all the requirements of the customers and gives full satisfaction. Our company is highly esteemed for offering Neoprene Profiles to the clients. This product can be availed in a few meters or much larger quantities depending upon the clients' requirements. 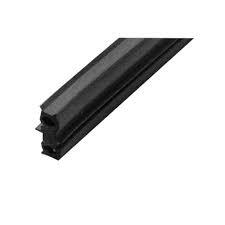 Matching up with the anytime growing requirements of the customers, our company is engaged in providing Neoprene Profiles. Neoprene Profiles suppliers and dealers in Bangalore used where temperature resistance, oil resistance, flame resistance is required. request to strike plenty of oil seals, washers, airproof fittings, work table and ground contacted with oil & grease, pavement for electronics. Neoprene Profiles Parts, which are highly used in wide range of applications. Our products are the synonym of reliability as well as durability. Our products are designed with the latest technologies. DIRAK India, headquartered in Bangalore, is an industry-leading name specializing in a wide variety of accessories for electrical cabinets & enclosures, locks, latches, hinges, gaskets & other industrial fittings.